Their ambition to provide a superior sales experience and exemplary customer service has been rewarded by the general public in the UK’s largest award scheme for estate and lettings agents. The awards reward property companies based on reviews from real house buyers, renters, tenants, and landlords, meaning Ellisons have been chosen based on feedback from their very satisfied customers! Love Wimbledon are delighted for and offer their congratulations to the BID Business Ellisons Wimbledon. Find out more about Ellisons here. 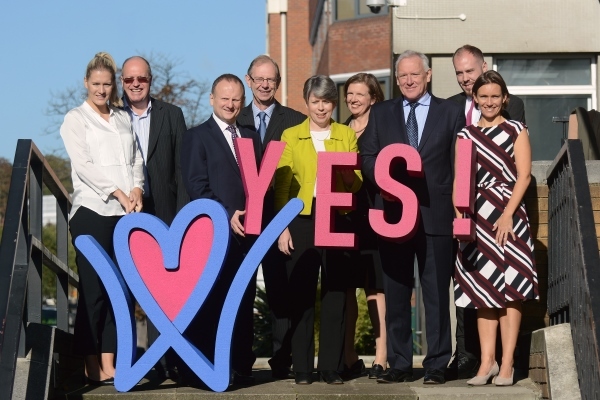 Love Wimbledon Business Improvement District gets a YES! The Love Wimbledon BID has received a majority YES from business voters to renew the BID for another five years. 80% of businesses voted yes for the proposals, enabling another £2.5 million of investment from businesses into the town centre over the next 5 years. Love Wimbledon received a 40% increase in votes since its last ballot when it was established in 2012. Helen Clark Bell, CEO of Love Wimbledon said ‘We would like to thank the hundreds of Wimbledon based businesses for their support of the town centre and the visitors, especially residents and business employees, who enjoy this great place and make it the vibrant and interesting town centre it is. We will continue with the projects we have started so far that has helped make Wimbledon a popular, attractive, safe, interesting and better place. Ensuring Wimbledon is an attractive, interesting and safe environment. This attracts more businesses, improves footfall and helps make Wimbledon a happier place to be. So everyone knows what’s on and where – it highlights the great reasons you should visit Wimbledon. We help to reduce business costs (this works especially well for our independent shops and restaurants), provide business opportunities and improve environmental credentials. Ensuring Wimbledon continues to be a popular place to shop, eat and go out, attracting new businesses and by working to manage the impact of strategic plans like Crossrail 2. Love Wimbledon was established in 2012 as a Business Improvement District. In that time we have delivered over 400 events, invested over £2.5million, saved over 1,000 tonnes of CO2 and lobbied to reduce the impact of Crossrail 2 on the town centre. It is funded by businesses and is a not for profit company serving and working to improve the area for businesses, visitors and residents. All BID levy paying businesses are automatically company members and are encouraged to put themselves forward to sit on Love Wimbledon’s project steering groups and Board. Business Improvement Districts (BIDs) have now been operating across the UK for over a decade. A BID is a legal body formed under the Local Government Act 2004. There are over 220 BIDs across the UK and Love Wimbledon works closely with its BID neighbours in Kingston, Sutton, Croydon and across London. https://lovewimbledon.org/wp-content/uploads/2016/10/Renewal-team-photo.jpg 400 600 3milAdm1n https://lovewimbledon.org/wp-content/uploads/2017/02/LW-RGB-Web-1-300x212.gif 3milAdm1n2016-10-21 00:00:002017-06-06 09:35:44Love Wimbledon Business Improvement District gets a YES! Wimbledon businesses can take advantage of a range of services offered by London Re-Use, an organisation which aims to reduce landfill and pollution by recycling re-usable office items. The UK throws away over 1.5 tonnes of bulky waste each year which is destined for landfill or incineration. The vast majority of this is furniture or white goods of which an estimated 51% is either re-usable, or would be subject to minor repairs. This waste squanders resources, pollutes the environment and costs money. But all businesses could benefit from recycling uwanted office items. London Re-Use collects items from your premises, refurbishing and recycling them, and then offering them to other businesses at a much lower price than new items would cost. For full details of this and all their other services please visit the London Re-Use website. WHSmith is back in Wimbledon! Love Wimbledon is delighted to announce the reopening of WHSmith in Wimbledon Town Centre. The fresh, modern store in Centre Court Shopping Centre offers all the traditional favourites customers enjoy from WHSmith, such as stationery, cards, books, creative crafts and confectionery, as well as the benefits of easy access and excellent parking facilities within Centre Court. https://lovewimbledon.org/wp-content/uploads/2017/04/whsmith.jpg 669 929 3milAdm1n https://lovewimbledon.org/wp-content/uploads/2017/02/LW-RGB-Web-1-300x212.gif 3milAdm1n2016-10-05 00:00:002017-04-13 13:55:16WHSmith is back in Wimbledon! On 14 September UK Power Networks began emergency works to repair a fault in the power cables running underneath the pavement along The Broadway in Wimbledon Town Centre, outside the entrances to Wimbledon Station, Centre Court and Tesco. This work was due to be completed within seven days but it is still ongoing as they unfortunately identified other issues as the works progressed due to the age of the cables. These cables supply electricity to residents and businesses in the town centre and further afield and we are hopeful this will resolve some of the ongoing electricity supply issues businesses have experienced in the town centre. Love Wimbledon has been lobbying both Merton Council and UK Power Networks on a regular basis to understand the extent of this work, applying pressure to ensure the work is completed as a matter of urgency, with minimal disruption to the town centre whilst also requesting that the area is cleaned and returned to its original state swiftly upon completion of the works. We have now been informed the work is due to complete on 10 October. UK Power Networks has already laid some of the area with tarmac as a temporary measure until the arrival of matching replacement paving slabs, which we understand are currently on order. We can assure you we will be requesting regular updates from UKPN until this work is completed.